Manuel is a veteran in the field! He was introduced to HVAC by his brother, who learned the trade while in the Army. 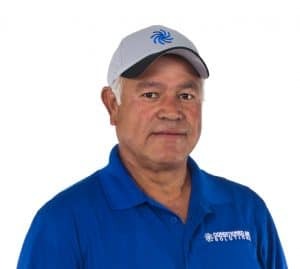 He has about 32 years of experience, and has given eight of those years to Conditioned Air Solutions. Our company is a “great place to work,” says Manuel. He appreciates that the management is knowledgeable. He also likes that he frequently learns something new, or something that helps him do his job better. Furthermore, he is proud to work for a company which values, and takes into consideration, the customer’s opinion and comfortability when providing solutions. The thing that Manuel enjoys most about his job is the challenge of devising the optimal solution for each different problem, as well as providing other options so the customer can decide for him or herself. He works hard to do his job to the best of his abilities, and make sure the customer is happy with the outcome. In many cases, he is able to make the customer happy, and save him or her a lot of money. One example he recalls is when a customer was told by a different company that he needed a fan motor and compressor. 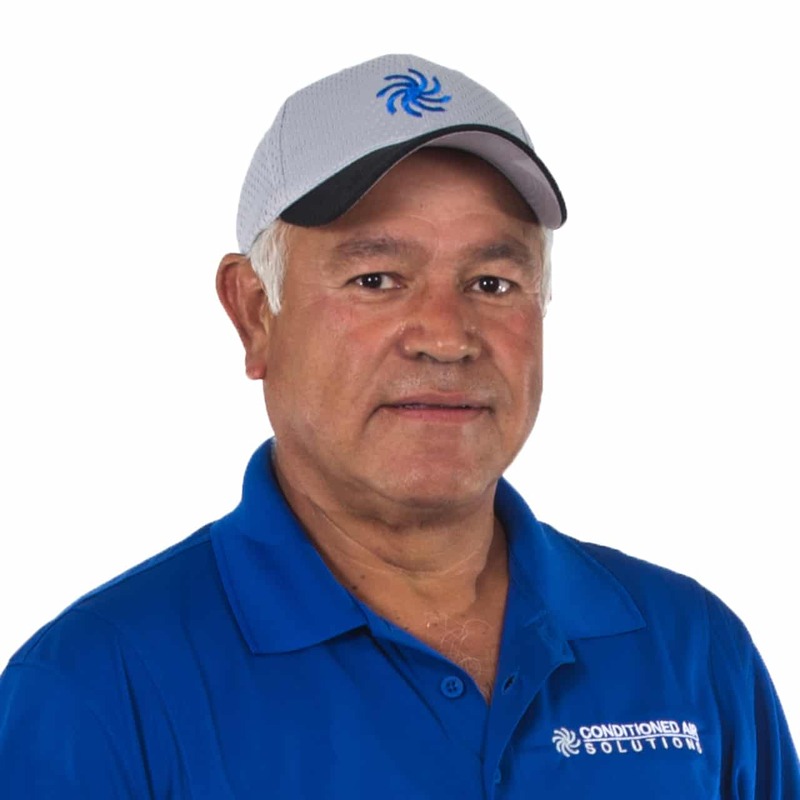 When the customer called Conditioned Air Solutions, Manuel was dispatched and found that he only had to replace the capacitor – which runs both the fan and compressor. He has many more examples of how he’s been able to solve customer problems. Originally from Texas, Manuel moved to the Huntsville area when he was a small child, he’s lived here ever since, and has become a fan of Alabama Crimson Tide. He says “they work hard as a team to be the best;” coaches and players alike. Manuel is a firm believer in always enjoying life! When he’s not at work, he spends time with his family, especially his grandchildren. In his spare time, if not working around the house, you’ll find him camping, fishing, hunting, or on vacation with his family. Manuel is proud to have three successful sons and a wife of 30 years. He jokes that his wife is “the best” because she has “put up with me all those years!” He notes that they have worked hard to have what they have. If Manuel could have superpowers, he’d want the ability to help people: be happy, enjoy life, and work hard for what they want out of life.